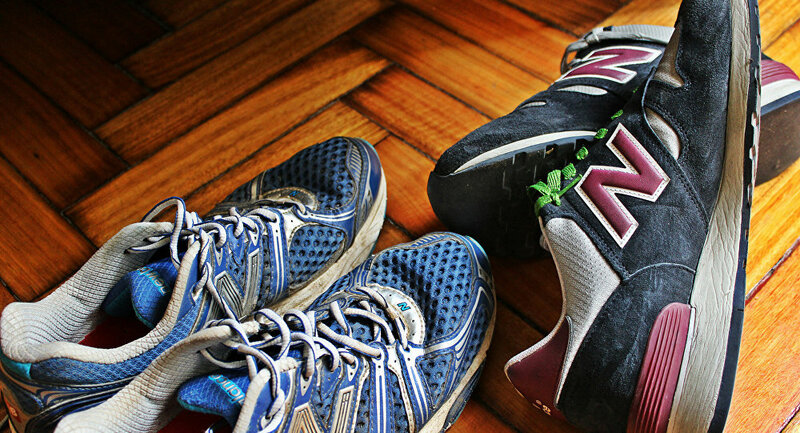 America’s Burning Question: Is it OK to Keep Wearing My New Balance Shoes?! A blogger on the Neo-Nazi website Daily Stormer made the declaration following the backlash over New Balance’s Matt LeBretton telling the Wall Street Journal that the nation may “move in the right direction” under President-elect Trump. His comment lead to angry Democrats declaring that they would not take another step in the company’s sneakers. LeBretton’s comments were made out of his concern over the Trans Pacific Partnership — a trade deal that both Trump and popular Democratic candidate Bernie Sanders, and many others on both sides of the political aisle oppose — but were taken out of context. "New Balance has a unique perspective on trade in that we want to make more shoes in the US, not less," a statement from the company last week read. After receiving praise from the white-supremacy website, the company told the Associated Press in a statement that they do not “tolerate bigotry or hate in any form." "As a 110-year-old company with five factories in the US and thousands of employees worldwide from all races, genders, cultures and sexual orientations, New Balance is a values-driven organization and culture that believes in humanity, integrity, community and mutual respect for people around the world," according to the statement. Meanwhile, food delivery website GrubHub has come under similar fire for sending a company-wide email urging anyone who did not share a commitment to inclusiveness and diversity to quit. “If you do not agree with this statement then please reply to this email with your resignation because you have no place here,” CEO Matt Maloney wrote in an email condemning some campaign statements made by the president-elect the day after the election. While Maloney claimed it was taken out of context when he told employees to “respond with their resignation letters,” company stock plummeted almost immediately. As #boycottGrubHub trended on Twitter, the company’s shares fell 9 percent on Thursday and Friday. Trump supporters are also boycotting Pepsi, after CEO Indra Nooyi, a long-time Hillary Clinton supporter, made comments critical of the soon-to-be President. Donald Vs. The Media: Trump to Boycott Thursday’s GOP Debate?